Knock-Knock. Who’s there? Irish! Irish who? 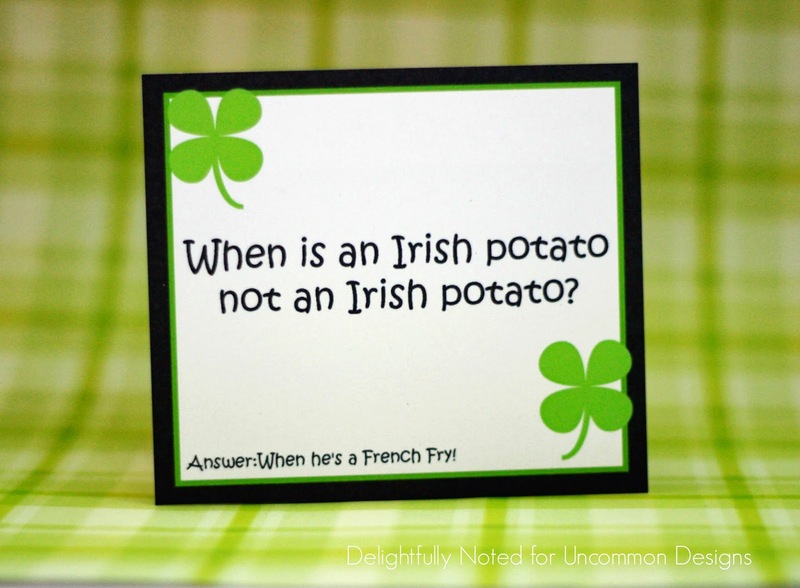 Irish you a Happy St. Patrick’s Day! Love a good joke? I bet your kids do, too! Now think of how much fun they’ll have when they discover these St. Patrick’s Day Lunch Box Jokes in their meals on Monday? That’s right it’s time to go green and get jiggy with it! 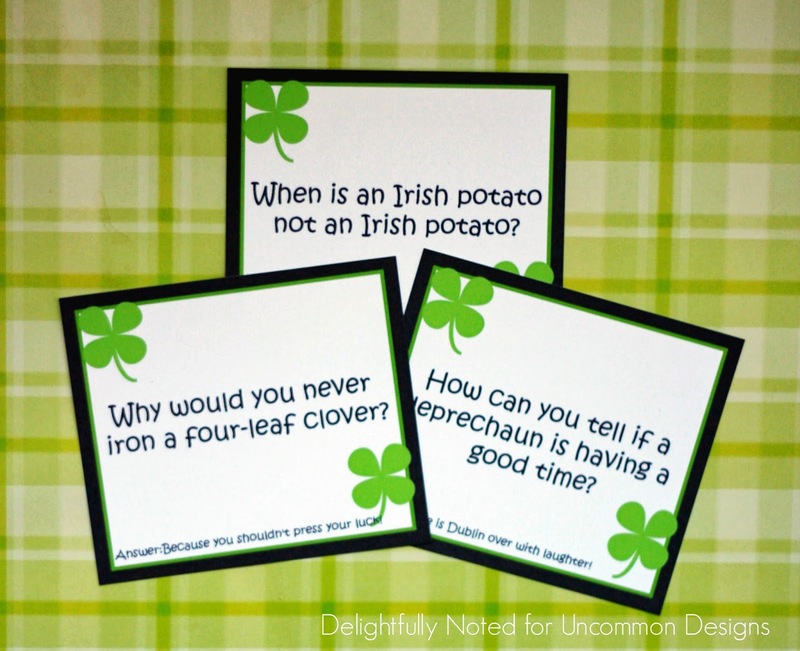 It’s Jennifer here from Delightfully Noted and since St. Patty’s Day is upon us I decided to share a simple and quick printable with you all. I love these “convenient” printable jokes because there’s no need to assemble any treat bags, glue anything together, write anything down–just simply print, cut, and distribute! It is so incredibly easy to just throw them into your child’s lunch on St. Patrick’s Day and they will be the hit of the lunch table! If you have smaller children, place them at their spot at the table on Monday morning… they will think you are the absolute coolest mom ever! When I was growing up, St. Patrick’s day was never a big holiday for my family but it was always an exciting day at school where everyone would show up donning green from head to toe (because really who likes to be pinched anyways?) and snack on festive holiday treats. Do you have memories from childhood about being pinched on St. Patrick’s Day or did you go to school fully prepared in all out green? or hiding them under their breakfast bowl in the morning? Great! Then you can download and print your free printable joke cards here. I have to admit the “Dublin over with laughter” one is my favorite! I hope your kids get a kick out of them too.